The right knot can be a perfect boost. cut tie fabric making the fabric return to its original shape after being tied all day. Ties became wider and displayed bold Art Deco patterns. Windsor knot (invented by Duke of Windsor) emerges. 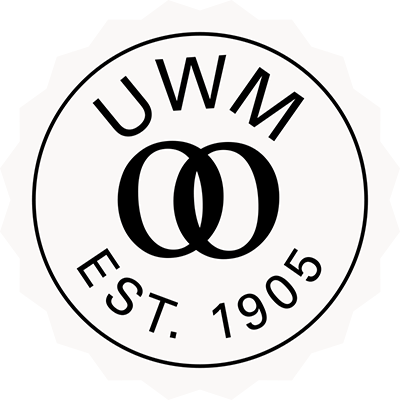 After WWII ties became bright, bold and patterned. The introduction of the bolo tie to go along side those monster wide Kipper ties. Either super wide or super skinny - even made of leather. Knit ties hit the scene. Started to all look the same around 4". 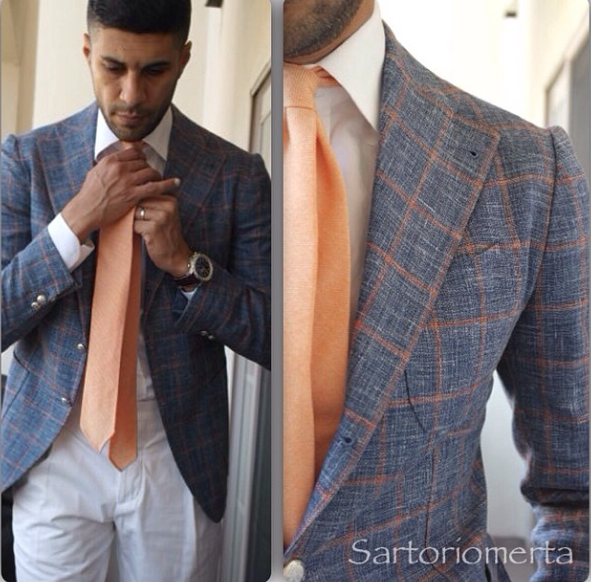 Ties became a tough thinner coming in around 3.5"
Skinny tie made a strong comeback. ties are starting to get their width back - not super wide but about the 3.5" mark. 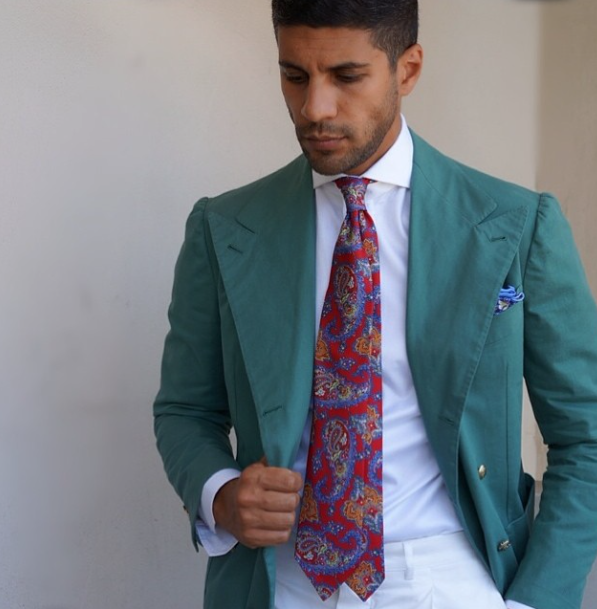 Florals and knit ties are really making their mark again. 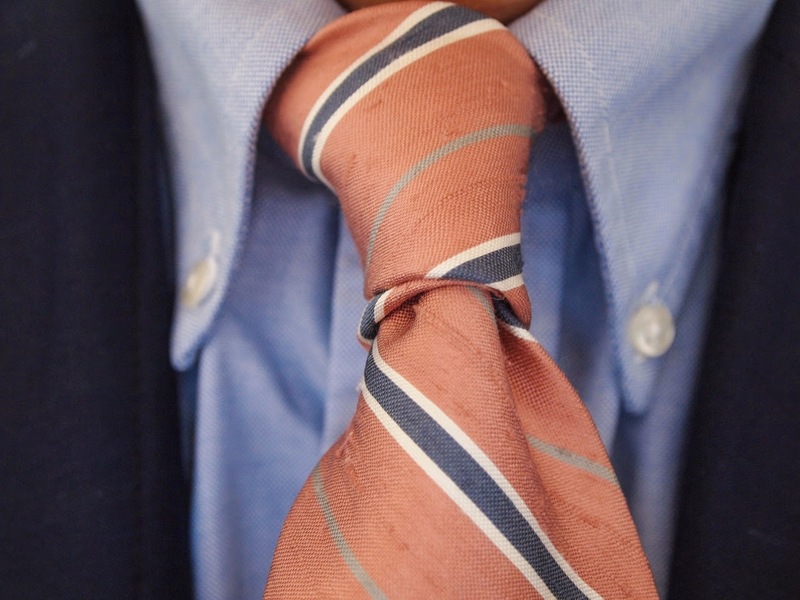 The new knot on the scene is the Neapolitan Knot. 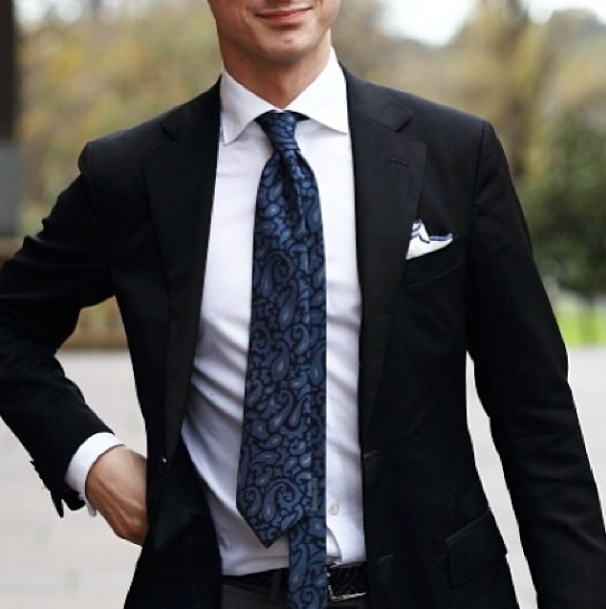 The Neapolitan Knot is very similar to the four-in-hand. The only difference is that you go around the loop twice instead of once. 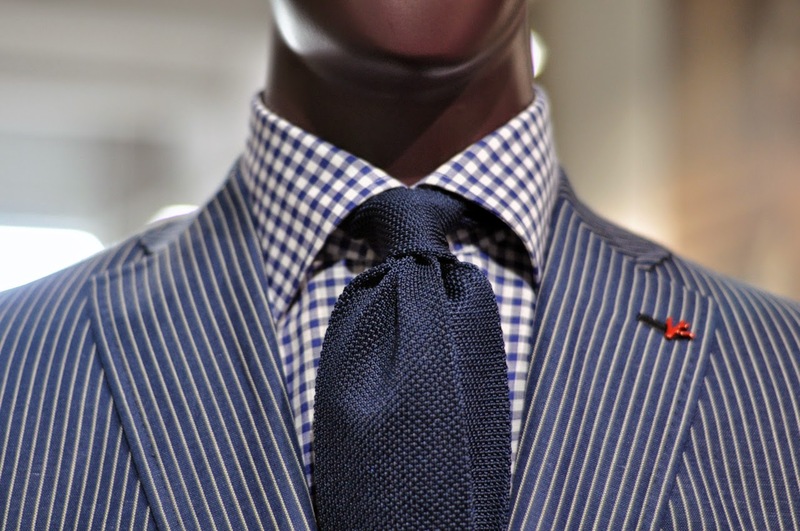 It is also known as the "double four-in-hand". This knot delivers a great dimple and a nice solid knot that is crisp and distinct. The knot looks best if you really crank the knot tight. Don't worry about the tail hanging down longer after you have cranked the knot tight. You heard me, let it hang down long. 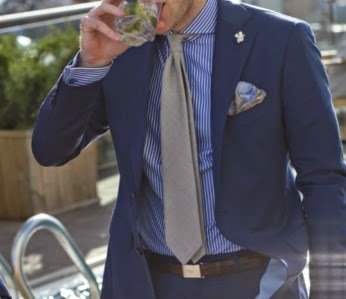 A messy tie with a sharp fitted suit really makes for great contrast. Go Neapolitan and let us know what you think!